BEIJING, Oct. 15 As China's exploration of the moon progresses, its space experts have begun considering going deeper into the solar system - to Mars, asteroids and Jupiter - and a manned deep-space mission. "When exploring the unknown, we should not just follow others. China should be more creative," said Liu Jizhong, director of the lunar exploration program and space engineering center under the State Administration of Science, Technology and Industry for National Defense. China should also strengthen international cooperation. "Exploring space is a great undertaking for the whole of humankind, and China should shoulder its responsibilities as a big country. Through international cooperation, we can learn from each other and jointly contribute," Liu said. "If China expands the range of its lunar exploration, such as exploring the south and north poles and the far side of the moon, it needs a constellation of satellites covering different areas of the moon's surface," said Lin. Guo Linli, a researcher with the China Academy of Space Technology (CAST), said humans will inevitably go deeper into space from near Earth orbit to the moon and then to Mars. "Can robots replace humans to explore deep space? My view is that robots are suitable for repetitive, heavy loading, and fixed and known work. 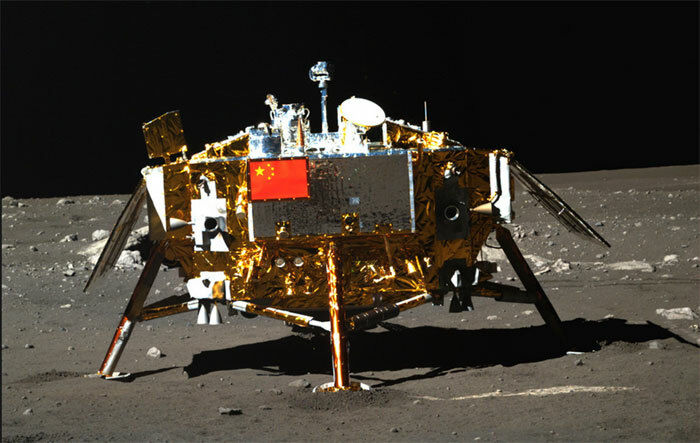 But it needs human wisdom to decide on unknown work that cannot be simulated in lab, such as surveying and choosing a site for a future lunar base," Guo said. Compared with unmanned deep space exploration, manned missions would have fewer possible destinations and the cost and difficulties would be much greater. Currently, only the moon, Mars and asteroids are considered, Guo said. Zhang Wangjun, a senior CAST engineer, said wheeled robots like the U.S. Mars rover Curiosity have played an important role in space exploration. But robots with feet are more suitable for moving on hilly terrain with many obstacles. "Robots with feet can avoid and cross obstacles more easily. We are researching two-feet, four-feet and six-feet robots. It seems that a six-feet robot has more advantages in mobility and flexibility in the complicated environment," Zhang said.